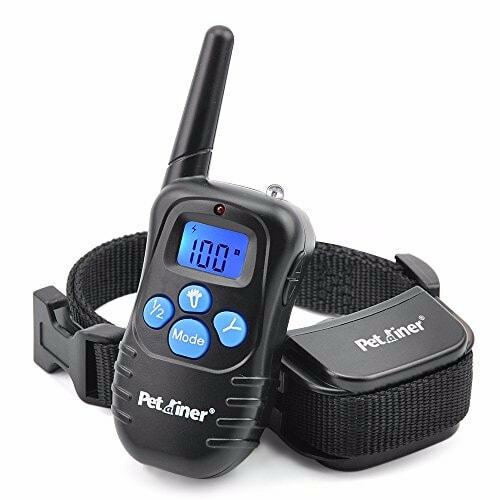 Petrainer PET998DB Deluxe is an electronic training collar with improved design, a range of up to 300 meters, waterproof and rechargeable receiver and the possibility to control up to two dogs at once. 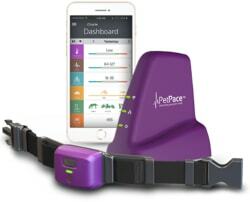 It has features sound, vibration, and the momentum that is adjustable 99-level display. 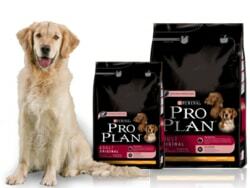 Suitable for training small and large dogs. 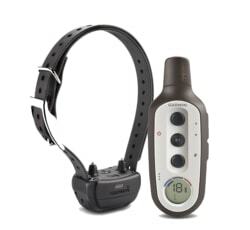 Petrainer PET998DR Deluxe is an electric training collar with improved design, a range of up to 300 meters, waterproof and rechargeable receiver and the possibility to control up to two dogs at once. 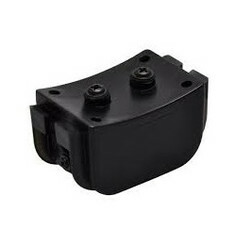 It has features sound, vibration, and the momentum that is adjustable 99-level display. 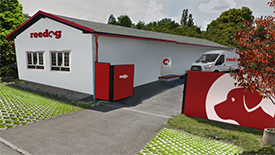 Suitable for training small and large dogs. 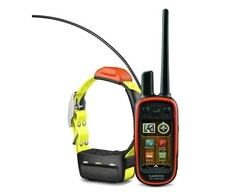 The main advantages of the electronic collar PET998DR Deluxe include the ability to set power pulse and vibration. 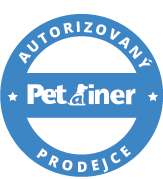 With this collar, it is possible to adjust the strength of pulse and vibration levels from 0 to 100 because the collar is suitable for all dogs weighing from 5 kg up to 90 kg. 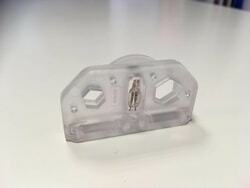 Moreover, thanks to a clever motion sensor saves energy collar - when the sensor detects that there is no movement, it switches to stand-by mode. Transmitter at PET998DR Deluxe has a backlit LCD display is very small, lightweight and ergonomically designed for a good grip in the hand. 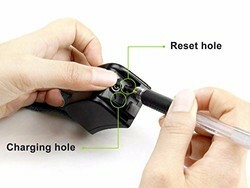 Compared to its predecessor has already PET998DR Deluxe rechargeable receiver and transmitter. 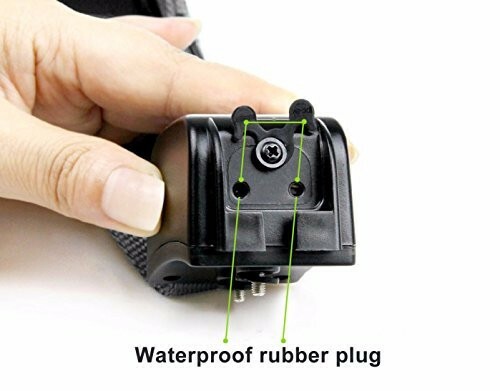 Moreover, it is supplied with a fully waterproof receiver (it does not matter rain, snow and short-term immersion in water). 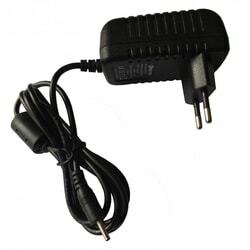 The receiver also features an improved design and ON / OFF button to turn on and off, thus providing longer battery operation. 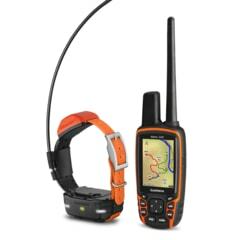 With the purchase additional receivers can be training collar Petrainer PET998DR Deluxe expand the training to 2 dogs at once (on the radio, you can easily switch between different dogs). Petrainer PET998DR Deluxe helps you train your dog without a dog leash at a maximum distance of 300 meters. For this reason, its good for amateur training. 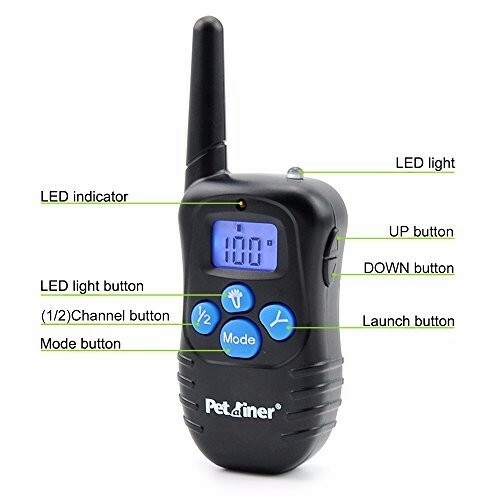 Petrainer PET998DR Deluxe has the option to use it as a correction sound notification, vibration and electric pulse which can be adjusted in 99 levels. 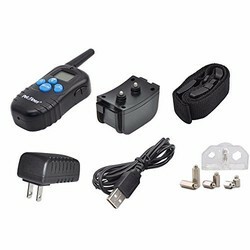 Transmitter Petrainer PET998DR Deluxe is equipped with a rechargeable Lithium-Ion battery with a capacity of 550mAh and her endurance in operation is around 1-2 months. 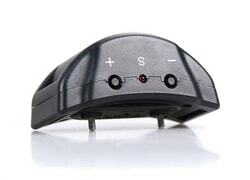 The receiver is also a rechargeable battery with a capacity of 200mAh and his stamina is around 3-7 days. 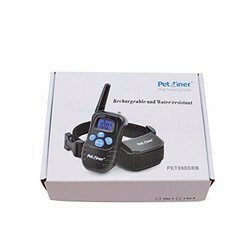 In contrast of its predecessor Petrainer PET998DR Deluxe comes with a waterproof receiver (he does not mind the rain and snow, but even brief immersion). Talkie is unprotected. It is rather an ideal choice for basic use, but not for training dogs in the water. 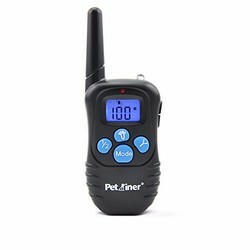 Petrainer PET998DR Deluxe can be used to control multiple dogs at a time, without loss of functionality. 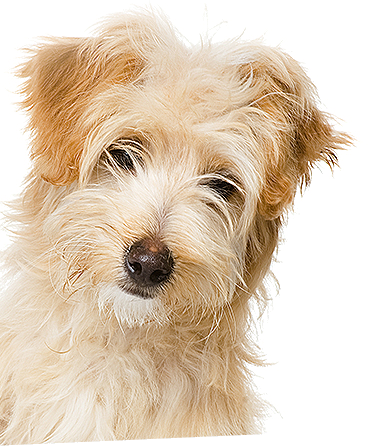 With the purchase of other collars can simply extend to training two dogs at a time. On the radio, then you can use the button to switch between the dogs. 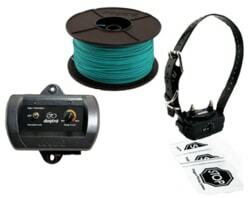 Petrainer PET998DR Deluxe has a very strong and good collar made of nylon . The dog does have problem wearing it. 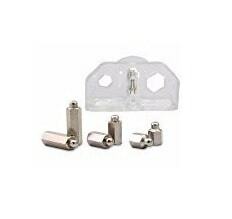 Collar length is adjustable from 20 to 60 cm.